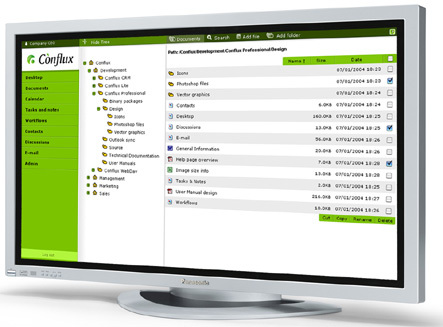 Conflux is an internet-based groupware and document management solution intended to organise and simplify your work. It was designed with security, usability and performance in mind. Explore the site, have a look at the offered features, try out the online demo and see why we think it is a step closer to perfection.